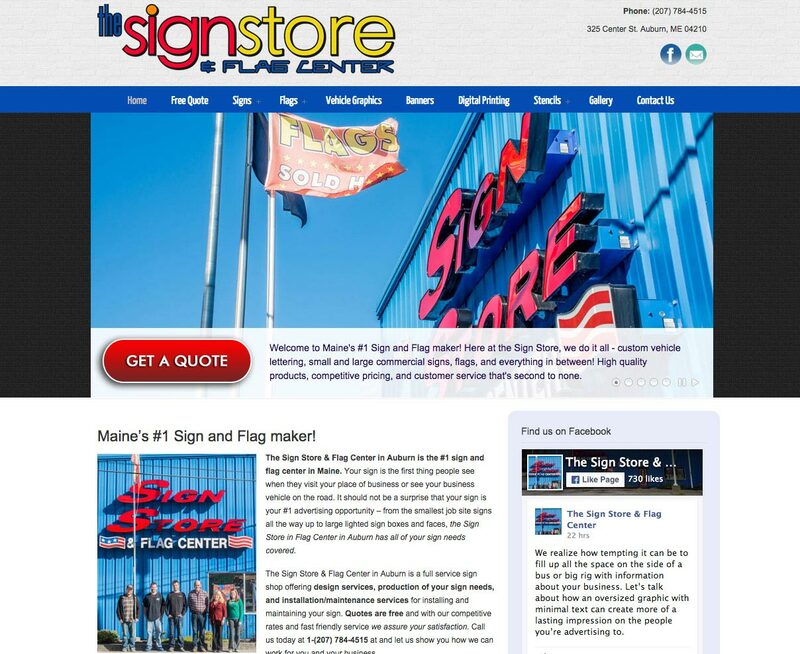 We were already familiar with the Sign Store & Flag Center before they contacted us. With a huge blue warehouse on Center Street in Auburn and aggressive TV ads, they’re difficult to miss! While there marketing game was in great shape, there website itself was severely outdated and largely untouched for the better part of a decade. We completely rehauled with a modern, responsive design. The site is pretty heavy with an emphasis for staff to be able to point to different products as areas of reference to customers and vendors alike. Our photographer, Jason Poulin, took some great staff photos and interior/exterior shots which are littered throughout the site and keep things from getting too stuffy. We also did some light SEO, which turned in some pretty great results. 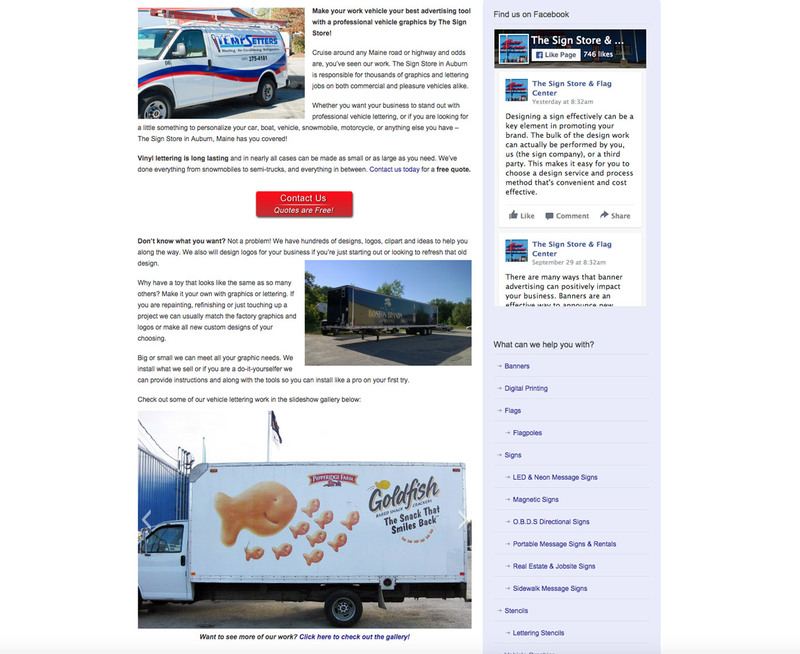 The company is on page 1 for virtually every search related to sign vendors in Maine, vehicle wraps, and flag installation.